Swooning with heat after a walk to Spring Gardens, for a (back) garden party to celebrate John Byrom's The Care and Conservation of Shared Georgian Gardens (published this month by The WordBank). 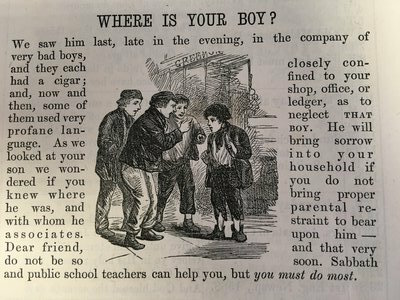 Intend a swift return home and a spot of horizontality, but should first mention the little gem garnered this morning from The Mother's Treasury, which appeared in 1864, full of moral tales. The one that caught my eye is headed 'Where Is Your Boy?' and the sanctimonious narrator opens with: We saw him last night, in the company of very bad boys, and they each had...' At this point pause and brace yourself. '... each had a cigar; and, now and then, some of them used very profane language.' Much as I imagine Boris and his bad boy cohorts this morning, following yesterday's Brexit Cabinet meeting at Chequers.